Inspired by a New York Times article about a 90 year old drug smuggler, The Mule sees the teaming of Grand Tarino writer Nick Schenk with actor and director Clint Eastwood, to once again bring a disgruntled, casually racist character with a heart of gold to the big screen. 90 year old horticulturist Earl Stone (Clint Eastwood) is driven out of business when he doesn’t adapt to the internet age. Estranged from his family due to his prioritisation of work over work life over his home life, the Korean War veteran struggles to find a way to still financially contribute to their needs (as well as his own). However a unique opportunity does become available, as a well travelled and careful driver, Earl would make the perfect unsuspecting mule to smuggle packages around the country from the Columbian drug cartel. The Mule is an oddly patchy piece. Competently executed and acted by Eastwood, and certainly full of a lot of the actor’s charm (as well as an impressive cast), The Mule can be an entertaining tale about a man reconnecting with a world that has radically altered over the decades, one that he barely fits into or recognises any longer. It’s just, at the end of the day, I’m not certain of what the film is trying to say, beyond a general sense of remorse and an overarching sense that something in the American dream is broken. 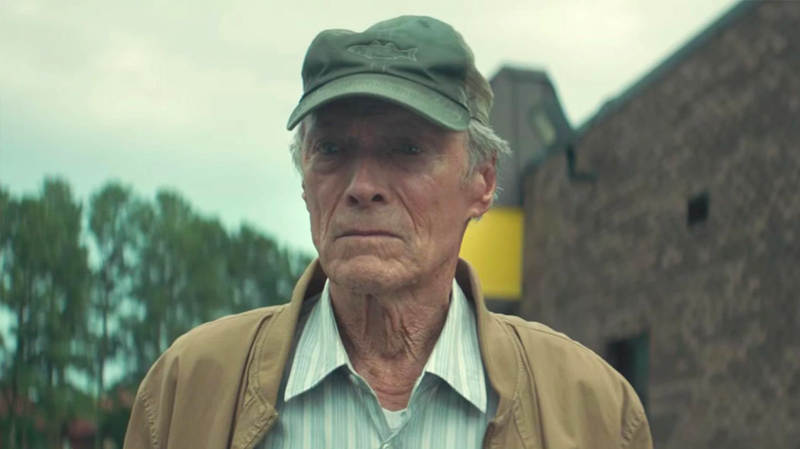 That’s not a deal breaker, as watching the slow adaptation and reconnection of Earl to the world and family, is given great poignancy and mirth by the elderly Eastwood, whose expression varies between exasperated and gobsmacked with perfect comic (and dramatic) timing. However at almost two hours, it feels like The Mule is diffuse and somewhat indulgent. Neither a slow meditative ramble on the state of America, or a road trip film, or an action based crime thriller, or a redemptive social drama – but rather a strange hybrid of all four that’s not quiet successful on any one front, but doesn’t entirely fail at any either. Which means, despite the ground it covers, both metaphorically and physically, The Mule never seems to have the dramatic weight to it that the issues it deals with require.